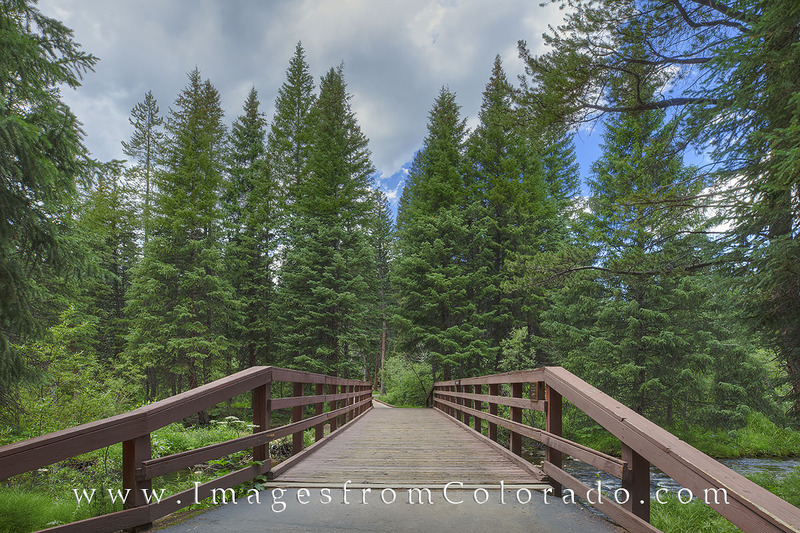 The Fraser River Trail winds from the Winter Park, Colorado, ski base to the town of Fraser, Colorado, prividing a beautiful walking or biking path along this small river. This little bridge is near the campground close to Beaver Village Condominiums. Photo © copyright by Rob Greebon.